The "Pardis" enclose into their triangular shapes a clue of Persian culture: the idea of creating a domestic heaven by mean of geometric shapes as seen in the persian carpets. 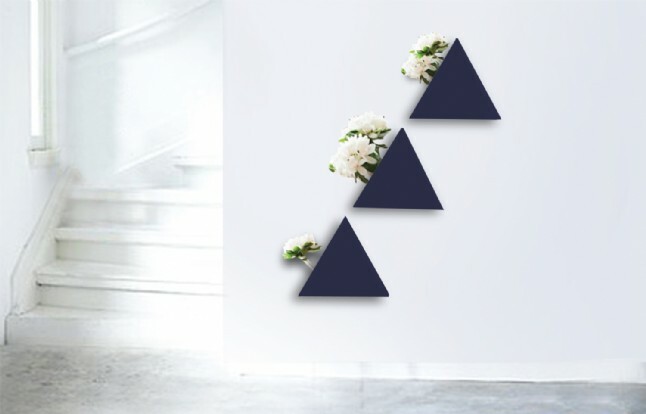 The ceramic triangular shape is optimal to draw blossoming geometrical patterns on the walls, following the 30 degrees angle. 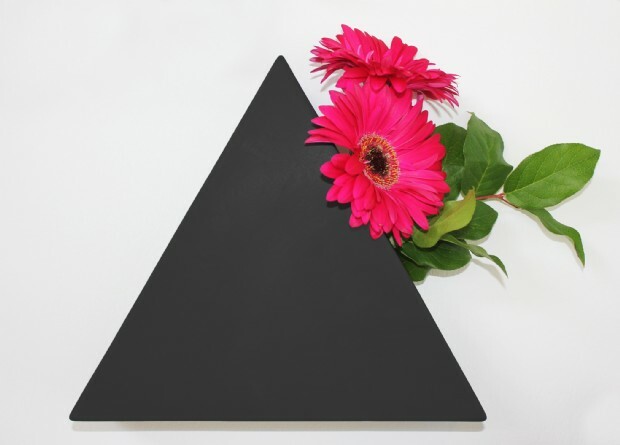 The range of compositions possibly obtainable is widened by the availability of "Pardis" in black matte or white matte colors, and this becomes the starting point for endless chromatic solutions when combined with colorful flowers within.